LOGAN, W.Va. – Three citizens’ groups that for decades have called for an end to mountaintop removal coal mining are urging their members and concerned citizens to speak up on the human health impacts of mountaintop removal coal mining during a May 23 town hall meeting hosted by a study committee of the National Academy of Sciences (NAS). The May 23 meeting is the second meeting of the committee as it seeks public input. It takes place at the Chief Logan Lodge, Hotel and Conference Center, 1000 Conference Center Drive here. 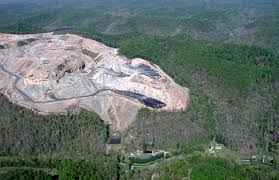 The committee is to examine the potential human effects of surface coal mining operations in Central Appalachia. 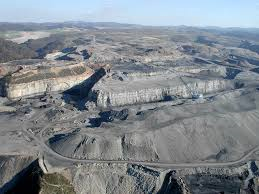 Citizens commonly refer to all large surface coal mines as mountaintop removal operations. The meeting consists of two parts, beginning at 12:35 p.m. with an “open session” where panelists will make presentations to the committee. If registered in advance, the public will be able to attend, but not ask questions during the open session, which ends at 4 p.m. The deadline to register in advance was Friday, May 19. The Town Hall forum at 6:30 requires no RSVP; opportunities to speak to the committee (3 minutes each) will be reserved at a first-come, first-serve basis. Please show up early to get your place in line! Panels include one with representatives of state agencies and one with coal industry representatives. Also on a panel are representatives of the three groups urging their members to speak up—Coal River Mountain Watch, OVEC (the Ohio Valley Environmental Coalition), and the West Virginia Highlands Conservancy. Later in the summer, meetings will be held in other states. People may also comment online. Haltom and Rank are two of the environmental group panelists. They will be joined by Natalie Thompson, OVEC’s executive director. People living near mountaintop removal operations have long claimed that this extreme method of coal mining is making them sick. In 2004, for the draft environmental impact statement on mountaintop removal /valley fill coal mining (MTR), citizen groups compiled people’s statements about their health and wellbeing and MTR. As the movement to end mountaintop removal grew, people’s demands that the health concerns be addressed grew, too. While politicians kept their heads in the sand, research accumulated, corroborating what residents were (and still are) saying: MTR is really bad for human health. The NAS study wasn’t formally announced until 2016. News articles noted that the study came at the request of the WV DEP. It was citizen pressure that brought DEP to finally make that request. We urge citizens to keep up the citizen pressure. Come out May 23 in Logan, or come to one of the other upcoming meetings in other states, or send in comments.